Amy is a Lawyer at Elvin Lawyers. Amy is passionate about her primary practice as a Family and Divorce Lawyer at Elvin Lawyers in Brunswick. She is a member of the Family Law Section of the Australian Law Council and completing her Masters in Applied Law with a major in family law. 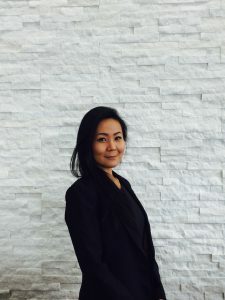 She is also skilled in the areas of Wills and Estates, Property and Business Transactions (commercial leases, lease disputes, property law matters, business sales/purchases, franchises, etc. ), Employment Law and both litigious and non-litigious Commercial disputes. Amy has appeared in Federal Circuit Court, Family Court, Magistrates’ Court, County Court, Supreme Court and the Victorian Civil and Administrative Tribunal. Amy has a solid track record of successfully advocating for her clients and obtaining favourable results in a wide range of contested matters, including complex property and parenting disputes, adverse action claims, intervention order applications, contract disputes and misleading and deceptive conduct claims. Amy is an active, community minded legal practitioner, who receives referrals from a wide network of people and fellow professionals including barristers, accountants, and other law firm offices. Amy is an active member of the Northern Suburbs Law Association and the Family Law Section of the Law Council of Australia. Amy provides her clients with advice and representation that is understanding of their circumstances, while putting to use her scholarly and practical experience to ensure that her clients obtain the best possible outcomes in their cases. Having grown up in the South Eastern suburbs of Melbourne, Amy assists clients in the suburbs of Oakleigh, Murrumbeena, Chadstone, Carnegie, Bentleigh and Malvern, as well as her regular clients in the Inner-Northern suburbs of Brunswick, Coburg, Preston, Pascoe Vale, North Fitzroy, North Carlton, Parkville, Northcote and Thornbury. Amy speaks conversational Mandarin and is able to assist clients in Mandarin with their matters.